Recently Valency had the opportunity to be showcased in “BuildForce Canada’s Construction Productivity Expert Series” webcasts with our Risk Management for Project Managers webinar. We are excited to be included in this best practices series and hope the session provides good value to you. This webinar was designed for project managers involved in capital projects. 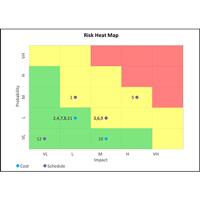 Are you expected to manage project risk? If so, you should get value from this webinar. 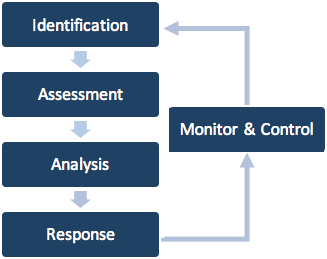 It introduces CII’s suite of risk identification checklists and the application of a risk register template for qualitative risk management. Valency has adapted the CII tools and research to align with PMI’s PMBOK. The end result is a selection of practical tools that project managers can easily integrate into their projects. Historically, projects under $20 million carry substantial risk. Since the size of the project doesn’t warrant a full time risk manager, providing tools and skills to help project managers manage risk in a structured manner is extremely valuable. If the session piqued your interest and you would like to learn more about practical methods to improve Capital Project Risk Management on your projects, we are running a workshop on June 20th in Toronto. You will learn to apply risk management processes in a practical way to identify, communicate, and minimize risks.